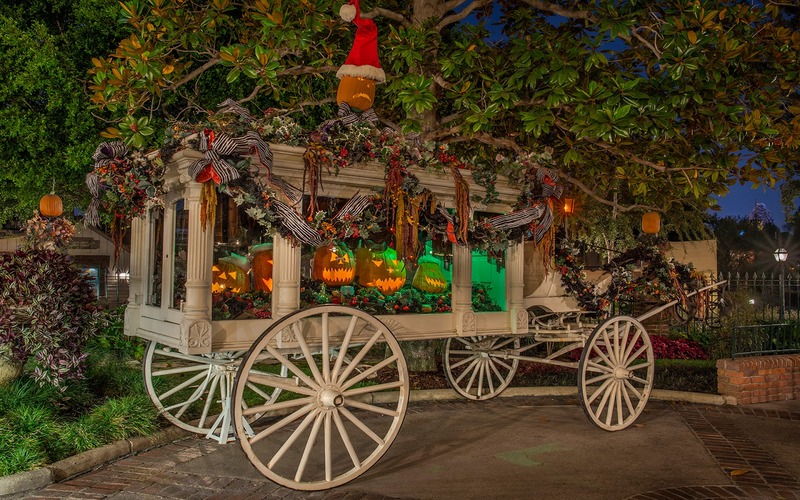 The hearse off the side of the line for the Haunted Mansion takes on a very festive feel during the Halloween and Christmas season. 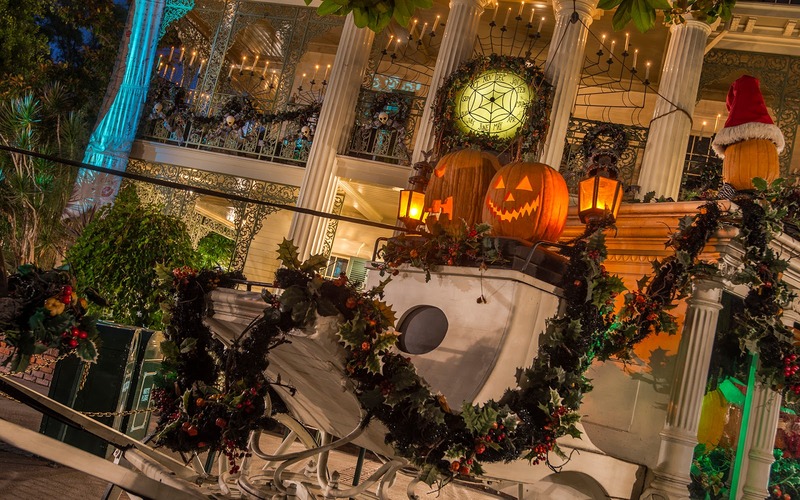 With jack-o-lanterns and holly and berries, and some spooky lighting to boot, the carriage seems more primed for a happy occasion than a gloomy one. 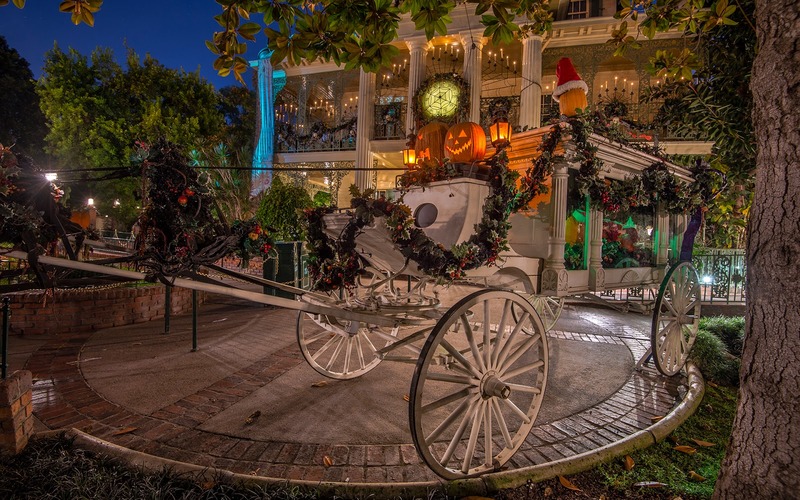 Then again, with how the Haunted Mansion Holiday treats topics of the macabre, it is a happier vibe than a dark and glum one. So it's fitting that this "carriage of death" is a most cheerful looking carriage.